Our all-access course bundle includes everything you need to pass the CPA Exam. 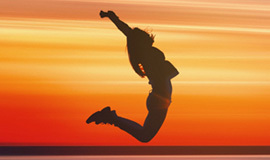 Get started today on your CPA journey! Buy the 4-Part Bundle Now! Visit Our Products Page for single part bundles, only $425! Get FREE tips, expert advice, and printouts! Effective learning methods that focus on concepts and the AICPA Blueprints.The key word here is blueprints. Back in 2017, the AICPA decided to switch from using Content Specifications as the basis for preparing for the CPA exam. Instead, they introduced their AICPA Blueprints. These were meant to be used like a "road map", refining CPA study materials by telling the candidate more precisely what will be tested. The Blueprints don't give an accounting topic for studying for the CPA, but rather, they tell the candidate exactly what tasks they will need to perform in the exam. Mike Decker, the head of the CPA Exam division of the AICPA has been quoted as saying, "Tell your students to study the AICPA blueprints." Yaeger CPA Review course, along with other approved CPA Review Providers*, meet twice a year with the AICPA, to learn, in much greater detail, the content and tasks that candidates will need to know to be successful on the CPA Exam. *Candidates should not be fooled by websites that call themselves review courses. They are not approved by the AICPA. Candidates should deal only with AICPA approved cpa courses. Yaeger CPA Review is dedicated to you, the student, and your passing exam score! No other CPA Exam preparation course takes this individualized approach to ensure your success. We are here for you on your CPA Exam journey! Adaptive content for a custom learning experience through AdaptaPASS. AdaptaPASS works with the candidates' study preferences and their strengths and weaknesses. Some people are more visual learners, others more auditory. Some prefer reading text material and others prefer watching video lectures to fully grasp and understand the more complex concepts. Yaeger CPA Review course has it all. AdaptaPASS combines students preferences and study techniques into account to create a customized study plans for every student. Phil Yaeger himself, sets up individual study schedules on a one-on-one basis with every student who calls him directly. Yaeger CPA Review materials cover every single AICPA Blueprint. No concepts are skipped! Many CPA prep courses market the idea of studying in less time. The results of this "shortened" study is they only give you multiple choice questions in the areas that you answered incorrectly in their assessment testing. That means, if you didn't know anything about a concept, but took a random guess and guessed correctly, your customized study program will not include any questions on that concept. Yes, with these CPA exam study programs, you will spend less time, but you will learn less, and risk scoring lower on the exams. Less study time is not necessarily a good thing. Remember, it's the quality of the CPA study material, not the quantity that makes for success on this very challenging exam. Yaeger CPA materials have the quality. "Truly the best course out there!!!" Just Starting Your CPA Journey? We'll get you on the path to success. Direct access to an instructor by phone, email, or student message board. All Yaeger students are encouraged to take advantage of our customer support. Starting with the initial registration, setting up portal access and solving any technical glitches that may pop up along the way. But that's just the beginning. Our support goes way beyond this. Our entire teaching staff, support CPA's, and most important, owner Phil Yaeger (CPA, CGMA, PhD, MBA) are available to help our students. CPA study is very rigorous and requires a lot of support and encouragement along the way. Phil Yaeger is known to spend hours on the phone (he's not an email type) helping students understand confusing accounting concepts. He makes himself available to students, all the time, evenings and weekends. He is a teacher. He loves to teach and for his students to learn. This is a special gift, one that only Yaeger CPA Review course students have access to. And then there is the "Dr. Phil" side of him. 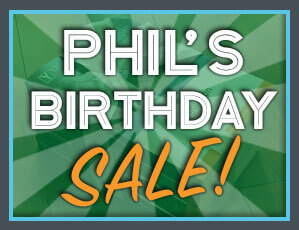 (You know, like the guy on TV, except our "Phil" has hair!) He understands the emotional ups and downs of this exam. He talks, never emails, to students. He recognizes their frustrations and stays on the phone helping them. He's there to empathize and encourage them. Those who have spoken with him know his motto – Never give up – He is committed to helping his students and he never allows them to give up. He remembers all too clearly, his own complete devastation when he failed on his first attempt. He remembers the advice of a friend who told him not to give up, because, if he did, he would regret it forever. 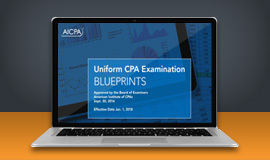 We've incorporated the required AICPA Blueprints and walk you through each representative task! Are you grateful when your professor gives you a study guide for your upcoming exam? Of course. And, that's exactly what the AICPA Blueprints are. They are your study guide telling you exactly what's on the exam. This free resource, from the AICPA, outlines specifically what is on the CPA Exam, with over 600 representative tasks. That's why the Yaeger course was redeveloped to correspond with the AICPA Blueprints. We wrote our own books using the Blueprints as our table of contents. Our instructors go through each required task step-by-step and explain the concepts and knowledge you need to pass. While other courses may advertise inclusion of the AICPA Blueprints, they have not rewritten their books or spent the time to rework the way they teach you the material. At best, they only show the Blueprints as an exhibit in the back of the book for reference. Our mission is to get to the heart of what you need to know to sit for the exam with confidence. That's why the AICPA Blueprint integration is so important. 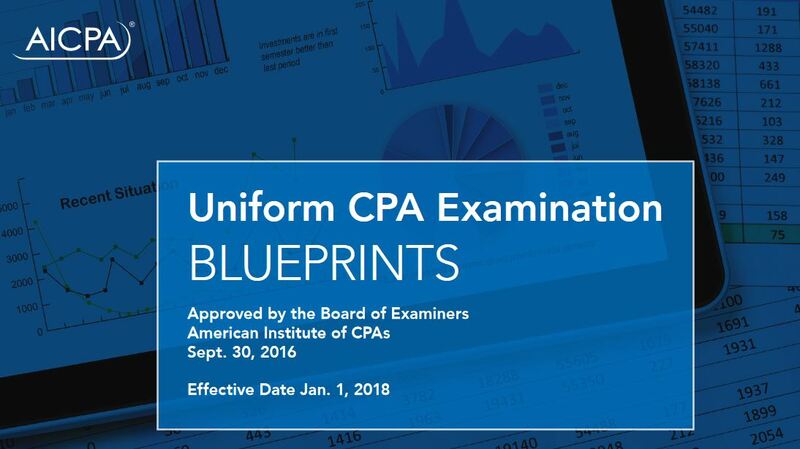 Before deciding on a CPA Review course, be sure to download a copy of the AICPA Blueprints (they're FREE!) and see what we're talking about. Everything you need – for less. Our course bundle costs hundreds less than competitors. CPA exam review courses vary greatly, especially in price. It is important to note that, just because a CPA course costs more, does not mean it is better than the less expensive course. Simple economic principle – lower overhead makes it possible to provide a high quality cpa review course at lower prices than our competitors. In the mid 1970's, when Phil Yaeger took a CPA review course, there were only two choices available in the Washington DC area. Once he passed, he wanted to give candidates a choice. He also was determined to provide CPA candidates with the best CPA exam prep possible and at the best price point he could. In 1977 he started his own CPA test preparation course. The course started small, only 13 students the first time, but word-of-mouth spread, and the live classroom teaching style grew to over 1000 students a year. There were three locations in the Washington DC area and the exams were all given at the same times twice a year. Yaeger CPA Review has been preparing candidates for more than 41 years. You don't get that kind of longevity by offering an inferior CPA exam program. You get it by offering a high quality course while maintaining candidate friendly prices. We have always strived to make our prices candidate friendly.